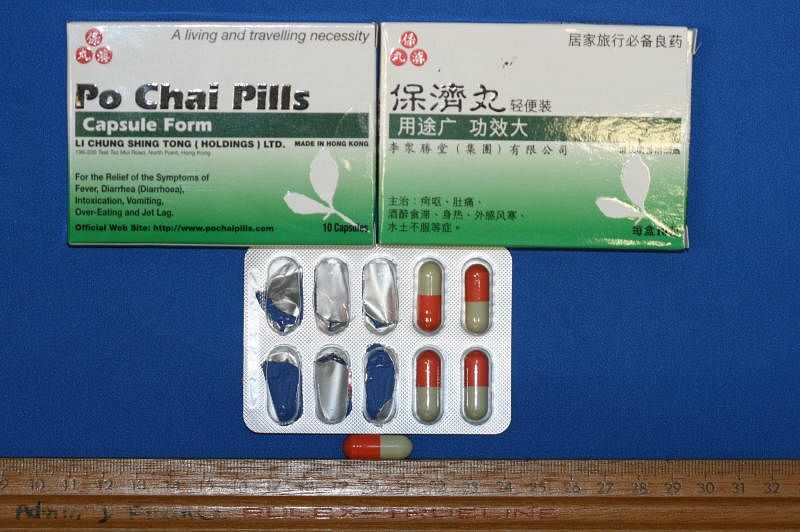 SINGAPORE – If you have seen a news clip about Po Chai Pills being recalled in Hong Kong, do not worry – it is an old clip from 2010, the Health Sciences Authority (HSA) has clarified. In the clip that has recently resurfaced online, a newscaster says the popular indigestion and diarrhoea remedy has been recalled because of two chemical substances. These are phenolpthalein, a laxative, and sibutramine, a banned western medicinal ingredient for slimming. The clip claims the substances were detected after testing by Singapore authorities. HSA said in a clarification on Monday (Oct 16) that the incident occurred in 2010. Po Chai Pills are still sold in bottle form in Singapore, and HSA assured the public that it continues to monitor the product under its product quality surveillance programme. The latest laboratory test in June last year found the product to be compliant with quality standards, and did not contain phenolphthalein, sibutramine or any other western potent medicinal ingredients or contaminants. The compound medicine company also put up a notice on its website pochaipills.com clarifying that the news clip is outdated and “carries inaccurate representations and also confuses the public”. The pills, which are made in Hong Kong with more than 10 Chinese medicinal ingredients, are used for a variety of gastrointestinal ills. The 2010 recall occurred after HSA detected the substances in the capsule form of the pills during routine surveillance checks. Po Chai products were previously available in two forms – bottles and capsules. The manufacturer stopped producing the pills in capsule form and stopped marketing it in Singapore since May 2010, after HSA recalled the specific batch of the product. No adulterants were found in the bottle form. After HSA detected the substances in the capsule form of the pills in 2010, Hong Kong’s Department of Health recalled all the Po Chai Pills products. As the bottle form of the product was not affected, the department subsequently allowed the manufacturer to resume production and marketing of the pills. Previous PostPrevious Turmeric Myths And Facts: Does Curcumin, Popular Traditional Medicine, Boost Health, Fight Inflammation?